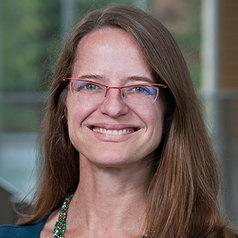 Christina Ewig is Professor of Public Affairs and Faculty Director of the Center on Women, Gender and Public Policy at the Humphrey School of Public Affairs at the University of Minnesota. Professor Ewig’s research centers on the politics of gender and race in Latin America. She has published widely on gender, race and social policy reforms in Latin America. Her current research investigates whether the rise of women and indigenous peoples into political office in Latin America has made a difference for the kinds of policy that is produced. Her book, Second-Wave Neoliberalism: Gender, Race and Health Sector Reform in Peru (Penn State University Press, 2010) won the Flora Tristán award for best book on Peru from the Peru Section of the Latin American Studies Association. Her articles have appeared in Comparative Political Studies, Feminist Studies, Social Science & Medicine, World Development, and Social Politics among other journals.